The dental tourism trend started several decades ago along the border towns of Mexico, such as Nogales and Tijuana. Americans living right across the border on the U.S. side were the original dental tourist. The mostly Hispanic populations living on the U.S. side received recommendations from their relatives across the border to see Mexico dentists that offer dental treatments at a fraction of the cost of their U.S. counterparts. The Mexico dental tourism trend spread among seniors living in retirement and active adult communities in the border states of Arizona, California, New Mexico and Texas. In conjunction with the trend of seniors crossing the border to buy cheap prescription medication in the ‘90s, dental tourism in Mexico became popular as people discovered clean, professional, and state-of-the art Mexican dental facilities. Word-of-mouth travelled fast, especially among seniors living in close-knit retirement communities. In the early 2000s, the media brought attention to the growing trend of medical tourism. 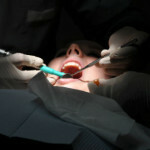 Dentistry in Mexico became a spotlight for both positive and negative news from the American media. 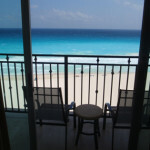 People reported about their wonderful experiences with their dental care in Mexico while saving thousands of dollars. A select few reported their outrage about receiving bad dentistry in Mexico. Such widespread media attention brought both controversy and interest among the general American population. Although many people still have apprehension about travelling to Mexico for dental work, it is common knowledge in the U.S. that Mexico is a great option for people looking for savings in their dental work. Americans travelling to Mexico for dental work can save up to 70% off their local U.S. dental quotation. The most common procedures sought by clients are cosmetic dentistry involving crowns, veneers, and dental implants. A combination of a standard dental implant and porcelain crown can cost as much as $3000- $6000 in the Border States such as Arizona or California. Across the Mexico border, a similar procedure can cost around $1500 to $1800. Indeed, people travel from as far as Hawaii for the same procedure, where the implant and crown can cost as much as $8000 per tooth in some Hawaiian islands. People from all over the world travel to the Mexico border towns, which have become hotspots for dental tourism. Often, first time clients travel to Mexico with mixed expectations, only to be surprised at finding state-of the art dental facilities and highly qualified Mexico dentists. Prominent dental facilities in Mexico usually have modern equipment, such as Panoramic and Digital X-rays, intra-oral cameras, and flat screen monitors. Specialized Mexico dental clinics offer the most modern industry standard practices such as Laser Dentistry and Biological Dentistry. Some Holistic doctors in the U.S. even refer their patients to Mexico for hard to find holistic dental procedures such as Ozone Dental Therapy. Many Mexican dentists also travel around the world, especially to U.S. dental schools, to receive certifications and advanced education. In border towns such as Los Algodones, where approximately 300 dentists practice, continuous improvement in education and dental practices is important to remain competitive with other dental facilities clustered within an area just one square mile. The concentration of dentist in one area works in favor of patients, as dental facilities keep up with the latest innovations in dentistry to continue to attract patients from the U.S. Not only are the dentists competing with their U.S. counterparts, but they are also competing with the dentist next door. Similarly, Mexico dentist are able to share their best practices through their local organizations. This healthy competition and collegiality breeds some of the finest dentists the international dental industry has to offer. The ability to drive to the dental facilities provides an added convenience to Americans living in the border states of Arizona, California, New Mexico, and Texas. Major cities such as San Diego, Los Angeles, Phoenix, and Tucson are within 1-3 hours away from the nearest dental tourism hotspots. Moreover, people do not have to bring their vehicles into Mexico (and hence avoid paying Mexican Insurance and waiting in long border entry lines). Often, the facilities are just within walking distance from the U.S. Mexico border. 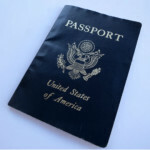 Americans travelling from other states find the convenience of travelling domestic flights as opposed to international flights which are more expensive. Similarly, dental treatments that require multiple trips over an extended period of time (e.g. 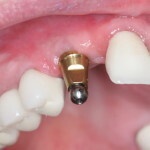 dental implants) are simply too expensive if one has to travel multiple times to other dental tourism destinations such as Thailand, Costa Rica or Hungary. As the cost of healthcare in the U.S. spirals out of control, the demand for medical and dental tourism will continue to increase. Currently, it is estimated that more than 40 million Americans are without health insurance; the similar statistic for dental insurance is even higher. However, even clients with dental insurance find themselves going to Mexico as their policies dictate yearly maximum expenses that barely cover major dental work. A $1500 yearly insurance cap with 50% coverage on crowns can approximately only cover 2 crowns and the dental evaluation, plus the client has to pay the remaining 50% of the cost. This becomes a challenge for clients in need of major cosmetic dentistry work. To cater to the needs of dental tourism clients, many major insurance companies provide reimbursements for dental work performed in Mexico. Similarly, many medical and dental financing companies are following suit. Moreover, new market conditions such as the housing bubble and credit crisis are reshaping the way people look at their limited resources. As the economy continues to slow down, dentist in Mexico offering big savings become high demand for American consumers. Aside from understanding the comparative advantages of Mexican dentists, Americans still need to perform a cost-benefit analysis of going to Mexico. Is it really worth travelling to Mexico for my unique dental case considering all the travel expenses and my time-off work? Am I better-off seeing my local U.S. dentist just a few blocks away from my house? The answer depends on the extent of one’s dental treatment and place of residence. It’s easier to make a decision if you need extensive dental surgery or full mouth rehabilitation as opposed to needing just one root canal. With people living in San Diego, Los Angeles, Yuma, or El Paso, the choice to go to Mexico is simply just a one day trip. However, travelling from Alaska or New York involves different expenses such as airplane tickets and hotel accommodation. In order to have a successful travel experience, one needs to understand the comparative cost between the local U.S. dentist vs. the Mexico dentist, together with the extra travel cost. *all prices shown above are estimates, and may vary for every dentist and individual treatment. ** Source: 2007 National Dental Advisory Service, Comprehensive Fee Report. Fees based on 95th percentile of national survey. ***Source: estimate prices for an actual dental clinic in Mexico; estimate prices for Yuma, Arizona accommodation and transportation expenses. Many countries around the world are considered top medical tourism destinations. Countries such as Thailand and Brazil are popular international destinations for cosmetic surgery. Many people travel to India for surgical procedures such as hip and knee replacements. Hungary and Costa Rica are also top dental tourism destinations. The cost of transportation is significantly cheaper. International flight to countries such as Thailand or India, which are halfway across the world, can be a big dent on the potential dental savings. Some dental procedures, such as standard dental implants, cannot be accomplished within one trip. Standard dental implants usually take approximately four months to heal before the dentist can start the corresponding crown work. Similarly, extensive dental work that requires periodontal treatments such as deep cleaning, crown lengthening, and multiple extractions and dentures also requires some healing time. It is impractical for someone to stay months at a time at their international location during the healing process. By going to the Mexico border destinations, dental patients have more flexibility to travel the relatively short distance multiple times as required by their dental treatment plan. Dental Laboratories used by Mexican dentist also provide additional value to the quality of work. Most Mexican dental laboratories guarantee their work for 3-5 years, ensuring that the client has the flexibility to travel the relatively short distance if a porcelain crown or veneer breaks after the treatment. Dental tourism patients travelling just right across the border in need of extensive surgical procedures, such as multiple extractions or open-flap gum surgery, have the comfort of knowing that the closest U.S. hospital is just minutes away in case emergencies take place. In case of a medical emergency, such as a heart attack during a dental procedure, the client can be picked up right away across the border and taken to a major U.S. hospital on the U.S. side. This extra emergency precaution is not as convenient when you have to travel to a foreign country without similar hospitals. Clients can find Mexican dentists right across the border that can speak English. If not, facilities that cater to American dental patients usually have an English-Spanish translator during the dental treatments. Effective communication is critical for any successful dental work. In conclusion, dentistry in Mexico offers a comparative advantage for Americans seeking a more affordable alternative to the expensive dental care in the U.S. Many Mexican dental facilities offer safe and high-quality dental treatments along with modern technology. As the cost of healthcare in the U.S. enters crisis mode, options such as Mexico dental care will continue to become a welcome relief to many Americans.